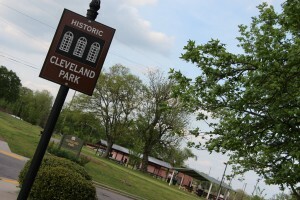 Cleveland Park began its rise to the next East Nashville frontier in 2005. Homebuyers were drawn to this area for its historic beauty, tree-lined streets, large public parks and proximity to downtown Nashville. Located three minutes from East Nashville's Five Points hub, the neighborhood has already started to flourish as its own strong namesake. Every spring, the neighborhood has one of the largest egg hunts you'll see in the area. With a strong core of neighbors who care about the aesthetics and infrastructure of the micro-community, this area is poised to be the next Lockeland Springs and 12South of Nashville's urban core. Cleveland Park began its rise to the next East Nashville frontier in 2005. Homebuyers were drawn to this area for its historic beauty, tree-lined streets, large public parks and proximity to downtown Nashville. Located three minutes from East Nashville's Five Points hub, the neighborhood has already started to flourish as its own strong namesake. Every spring, the neighborhood has one of the largest egg hunts you'll see in the area. With a strong core of neighbors who care about the aesthetics and infrastructure of the micro-community, this area is poised to be the next Lockeland Springs and 12South of Nashville's urban core. Updated: 22nd April, 2019 11:24 AM.